The New England Patriots’ main man, Tom Brady, ranks as one of the greatest quarterbacks of all time. At age 39, the star still plays amazingly rough. At this age, it’s not only about the vitality, but the diet too, which contributes to Tom Brady’s stamina and endurance. Tom Brady will turn 40 years old before next season. He says that he intends to play a couple of years more before he retires from American football, and so staying fit is of the utmost importance to him. He has a personal chef as well, who revealed that 80% of Tom Brady’s diet consists of fresh vegetables and the remaining 20% comes from lean protein. 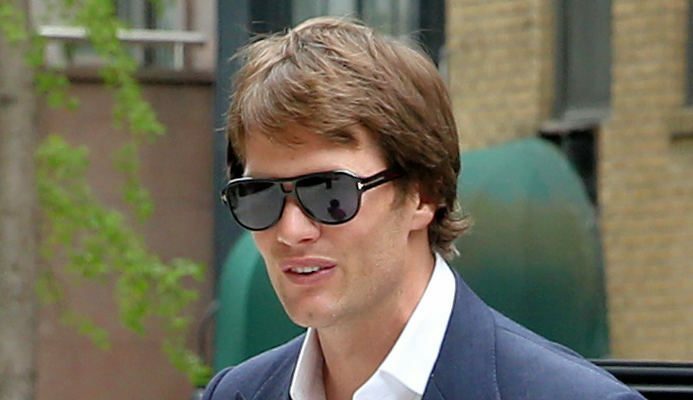 Tom Brady and his beautiful wife, Gisele Bundchen, follow an alkaline-rich diet. An alkaline diet incorporates food items that aid in maintaining the acidity or pH level of the blood and other bodily fluids. It is believed that an increase in the acidic level in the body makes it vulnerable to various diseases. So, the idea is to stay fit and healthy by consuming food groups that balance the pH level of the body. Tom Brady, along with his supermodel wife, Gisele Bundchen, follow a strict diet consisting of clean foods. The diet is 80% alkaline in nature, and the other 20% is acidic. The 20% part of his diet consists of fish like wild salmon, and lean meat like duck, organic steak, and chicken. Tom Brady gets his carbs from brown rice, quinoa, millet, and beans. He prefers fresh organic vegetables and includes them more in his meals. He avoids foods like tomatoes, eggplant, mushrooms, peppers, and potatoes. Brady also abstains from coffee, dairy, fungus, gluten, and fruits, except for an occasional banana in smoothies. Brady avoids alcohol, too. He keeps himself fit with a lemon drink that has a lot of electrolytes in it. Electrolytes are minerals like salt or potassium in the body, which are lost during perspiration. So, adequate replenishment of these minerals is essential for proper body function. The 39-year-old athlete is very particular about what is used to cook his meals. For example, olive oil was replaced with raw olive oil or coconut oil. He refrains from white sugar, white flour, and MSG. Even the iodized salt is substituted with the Himalayan pink salt. Tom Brady is totally in love with his rich alkaline diet, and his adherence to it quite commendable. Although a complete alkaline diet is a controversial issue among many food scientists and nutritionists, Brady seems to benefit from it. However, before adopting this type of diet, learn about your body first. Consult a physician or a nutritionist to help sketch out a well-planned diet chart, because what suits an athlete like Tom Brady may not necessarily go down well with your body.